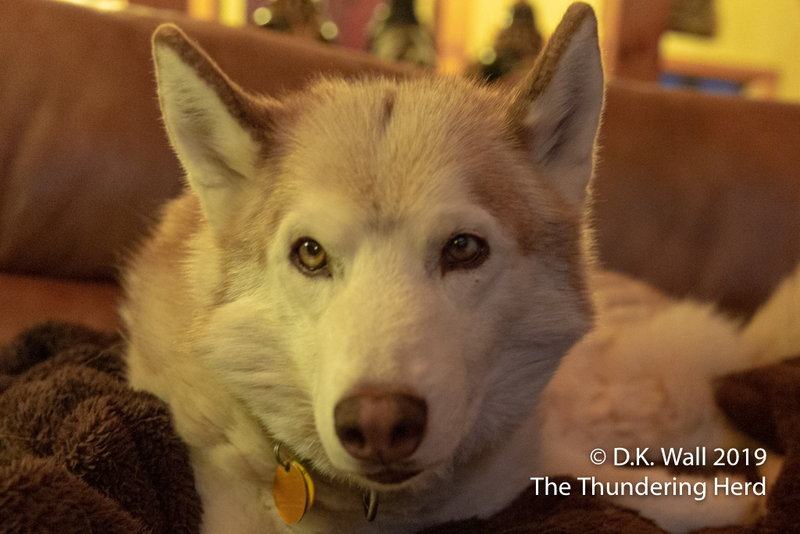 With the frigid temperatures gripping Chez Herd, Cheoah earned a new couch buddy to nap the day away in front of the fireplace. Cheoah napping in front of the fireplace. 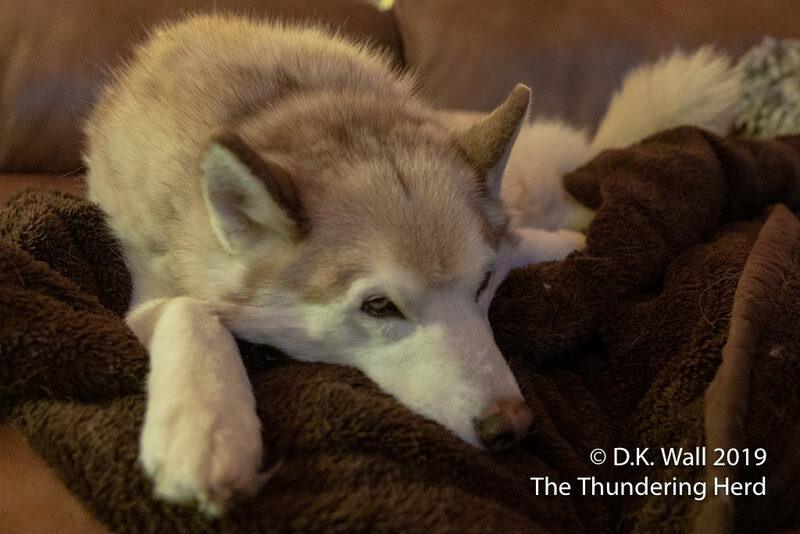 Cheoah long ago figured out the best place to spend the day on cold days—on the couch in front of the fireplace. She has the entire couch to herself, isn’t pestered by the antics of the boys around the house, and can snore the day away. To her surprise, she gained a new couch buddy with yesterday’s cold snap. Frankie says this is nice. Don’t worry—two couches face each other and capture the warmth from the roaring fire. The only difference is that snoring was in stereo for the day. As long as he stays on his side, it’s acceptable to share. How sweet and I don ‘t blame either Cheoah or Frankie. 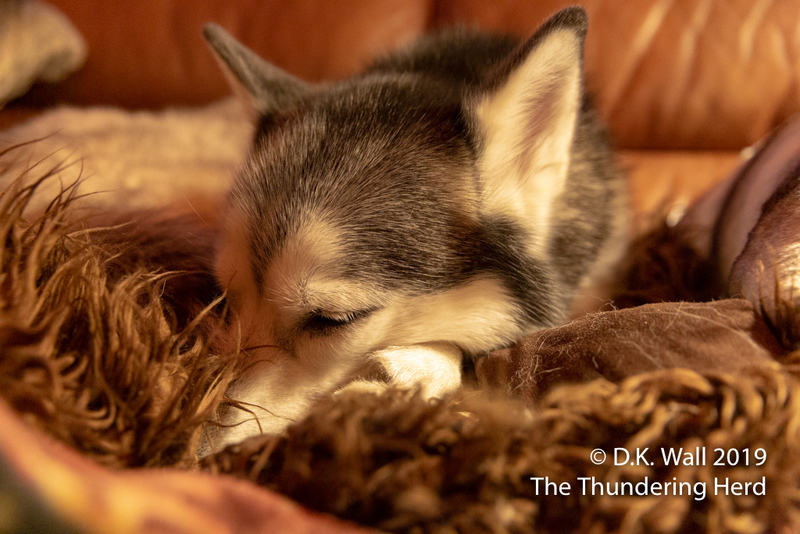 It WAS that kind of a day-to lie all snuggled in front of the roaring fire-each having their OWN couches to snore the day away! A perfect snuggle kind of day!